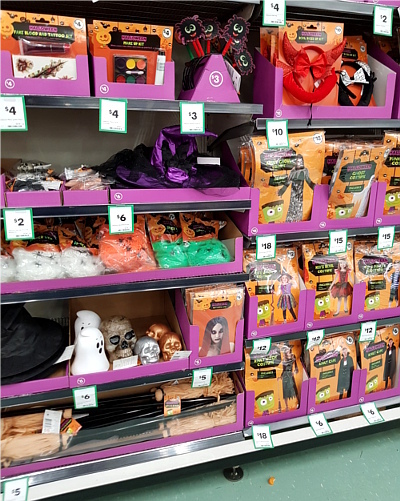 When I was a kid, we didn't have much to do with Halloween in Australia. It was an American thing. On the 31st of October, there'd be a piece at the end of the news with people in weird costumes standing around piles of pumpkins and that was just about all I'd hear about Halloween. It was an exotic custom that belonged to a different culture. But not only that. Some years, kids would come around our house dressed up in white sheets and witches hats. (Never with their parents of course. It was a simpler time.) My Mum would give them a lecture on the Americanisation of Australian culture and then send them away. 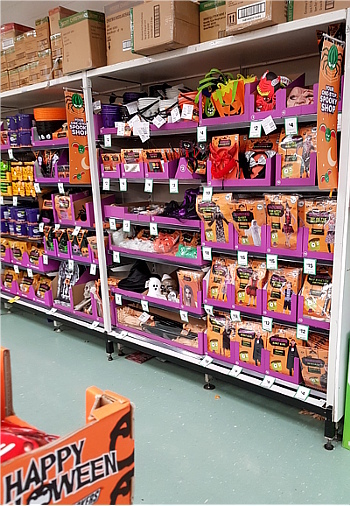 Any time Halloween was mentioned on TV or we saw a display of Halloween-themed merchandise at the supermarket, she'd embark on a rant about how everything American was over-running everything Australian. With an upbringing like that, I'm sure you can imagine what I thought of Halloween. To me, it was just another overblown commercialised holiday designed to make money, like Valentine's Day. Plus, I don't like anything scary -- scary movies, practical jokes, haunted house rides, etc. Even mock-scary things make me feel uncomfortable. It wasn't until I was older and did my own research that I found out about the older tradition of Samhain and how it's tied in to Pagan practices. I also learned more about the traditions of Halloween from a psychological perspective and how exposing yourself to mildly scary things can relieve greater fears. It was very interesting and explained a great deal, but I still wasn't into Halloween. While I have a different perspective now, I still don't think I can embrace Halloween the way everyone around me is. I mean -- I live in the Southern Hemisphere. Why would I celebrate a harvest holiday in Spring? So when I see the Australians around me wholeheartedly embracing Halloween, it's a bit disconcerting. I'm sure that Pagans who follow the local seasonal cycle will be celebrating Spring right now, so I can't help but think some of the people here who celebrate Halloween aren't doing it with the depth that would show a true respect for Samhain. I can't really begrudge them though and I don't want to sound like I'm complaining -- it does look like a whole lot of fun!